Tiger Woods and Phil Mickelson’s $9 million match started badly for Mickelson: He lost $200,000 in a side bet with Woods. The bet: Whether Mickelson could birdie on the first hole. For non-golfers, a birdie means a score of 1-under par. Par is the expected number of strokes it an expert golfer should need to finish a hole. “That hurts the pocket,” said Woods. An hour later, Mickelson got some good news: He won a $100,000 bet. The winner-takes-all event is taking place at the Shadow Creek golf course in Las Vegas. It is an unapologetic made-for-pay-per-view event, featuring an outsized payout for the winner, and serves no other purpose except bragging rights and keeping viewers entertained on Black Friday. The afternoon after Thanksgiving is traditionally a dead zone for TV viewing. The match’s technical innovations include what’s being billed as the world’s biggest drone, which is broadcasting sweeping 360-degree images of the match. 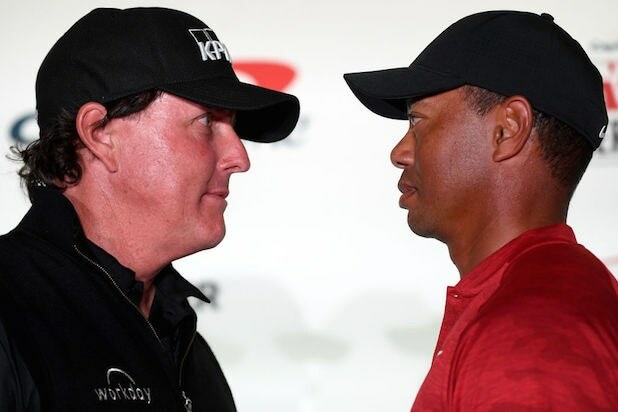 The match, dubbed “Capital One’s The Match: Tiger vs. Phil” is distributed by WarnerMedia and produced by Turner Sports. The AT&T-owned company will distribute the match through Turner’s B/R Live, DirecTV and AT&T U-verse, as well as on other cable, satellite and telco operators in the U.S. and Canada. Both Woods and Mickelson will be mic’d up for the entire event, and B/R Live is also promising that there will be side wagers happening throughout, including the one Mickelson lost. The money is going to the charity of the winner’s choice. While both Mickelson and Woods are past the prime of the careers, the championship golfers have won a combined 19 majors, and 42-year-old Woods has seen a huge resurgence in both his performance and his popularity in 2018. 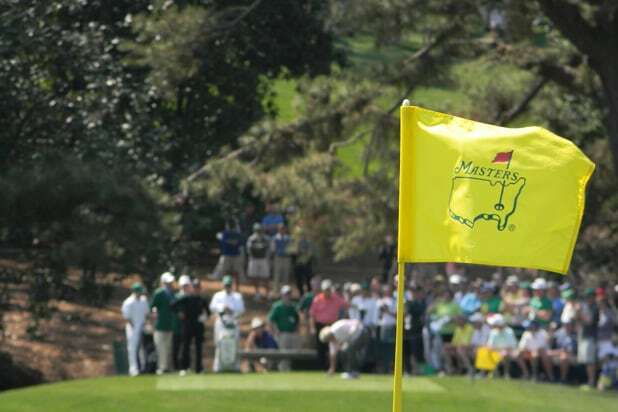 As CBS announcer Jim Nantz famously described it, the Masters is "a tradition like no other," and these golfers have achieved a level of success at Augusta National Golf Club that most pros can only dream of. With one of the game's four major tournaments teeing off on Thursday, TheWrap compiled the list of all 17 multi-time Masters champions. Nine of these polo-shirt wearers have won the 72-hole competition twice, which means the other eight own three or more green jackets. Danny Willett (pictured) will defend his Masters Championship this weekend -- can the Earth's 201st ranked player shock the world with another win, joining this prestigious club? Click through our gallery of guys who own two or more green jackets, ranked in ascending order. Will Jordan Spieth or maybe Adam Scott win a second green jacket this year and join the prestigious multi-Masters club? We'll know for sure by Sunday -- Georgia weather permitting, of course. Can Jordan Spieth, Adam Scott or last year’s winner Danny Willett join prestigious group of multi-time champs?